How do you follow what your Ravelry friend are doing on the site? Progress to date: Started the shaping increases along the back before the arms. 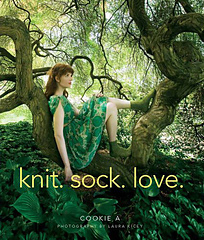 I will see you at the knitting retreat on Saturday! If I had been thinking clearly I would have packed your yarn bowl….but alas it is in Fburg. Oh wow I can’t wait… but no worries. It’s not like you’ll be in the ‘burg all the time soon enough 🙂 I can just pop into your studio when you’re around. Can’t wait to see everyone on Saturday… this is going to be fun. If you couldn’t tell, I’m really looking forward to it. I love what you’re doing with the targhee, can’t wait to see updates. I can gain weight by just looking at something, but, when I did a cruise I ate everything that I wanted but I walked everywhere. Only time I used elevator was when in evening wear. I also carried my camera bag everywhere. Did not gain a pound. Hope this works for you too.